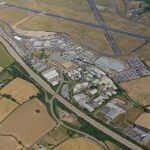 Improvements to Long Lane near Exeter Airport have been backed by Devon County Council and East Devon District Council to unlock new employment land. 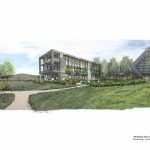 The scheme to improve 1.25 km of Long Lane will bring forward development in the Exeter and East Devon Enterprise Zone employment area known as “Airpark”. 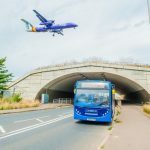 The road will be widened to 6.5 metres to improve access on the section running from the Airport Terminal entrance, past Flybe’s New Walker Hangar HQ, the Flybe Training Academy, and Hampton by Hilton Hotel, and through to Harrier Court. 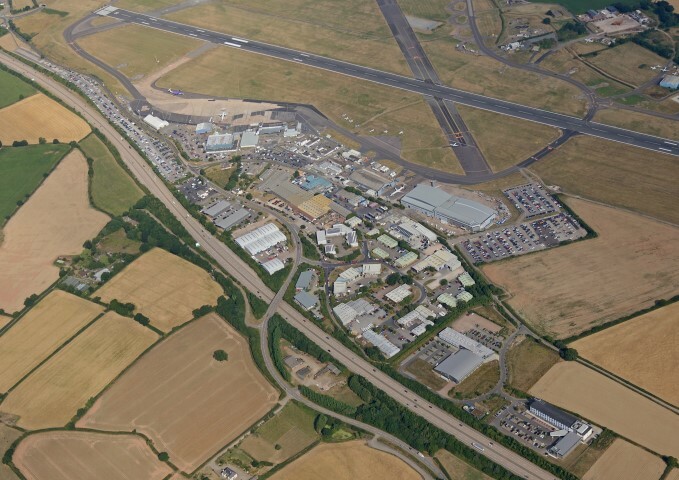 A new access diversion road will be developed from the Silverdown Office Park to maintain access to the Hotel and Flybe’s Hangar HQ and Academy during construction. Once the Long Lane improvements have been completed the “Silverdown Lane Link” will become a bus and cycle route, bringing greener travel choices for Fair Oak Business Park, hotel and Enterprise Zone employees and customers. A roundabout next to the entrance to the Airport car park 1 is also proposed, as well as improved pedestrian access leading to the Academy and hotel. Discussions with landowners are progressing for the work to take place. The scheme will also support the development of the France-Alderney-Britain (FAB) electric substation. 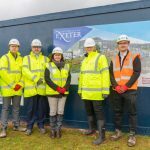 The £3million scheme will be forward funded by East Devon District Council through the Exeter and East Devon Enterprise Zone, with contributions being recouped from developers. 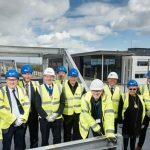 Steve Hindley CBE DL, Chair of the Heart of the South West Local Enterprise Partnership, said: “I am delighted to see further investment in the Exeter and East Devon Enterprise Zone, which is part of the Heart of the South West’s multi-site enterprise zones offering economic opportunities in the area’s key sectors. In welcoming today’s Cabinet decision, Flybe CEO, Christine Ourmières-Widener said: “Our airline provides essential air connectivity to and from the region for both business and leisure travellers. The current state of Long Lane poses significant limitations on access to and around the airport. Further information is available from Vickery Holman on 01392 20 30 10.